Palo Verde National Park has a uniquely dichotomous character. It’s simultaneously a spectacular wetlands and one of the best examples of tropical dry forests remaining anywhere in the world. 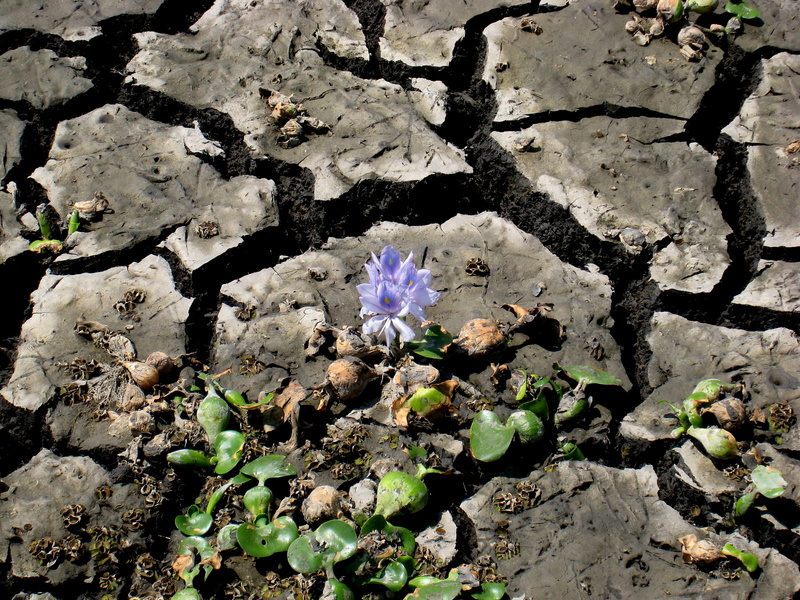 This dual nature is a result of the Río Tempisque flooding over land located in a relatively arid climate region. The park, like many in Costa Rica’s system consists largely of reclaimed pastureland. 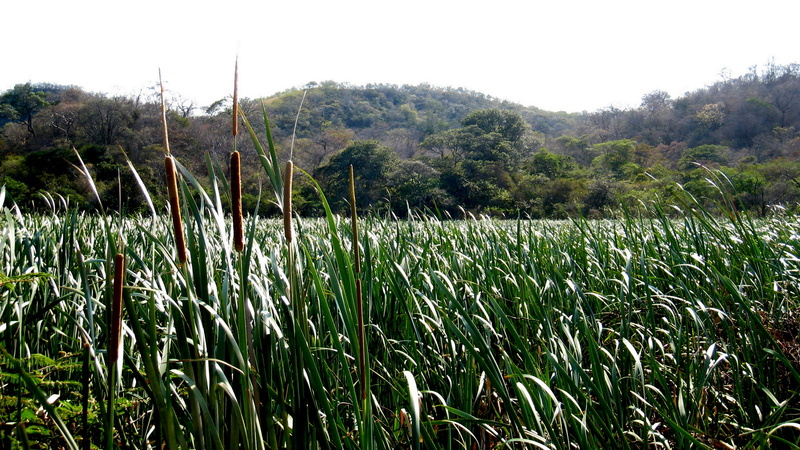 Fortunately, in the case of Palo Verde, the haciendas that preceded the park were somewhat different than the clear-cut ranches of the volcanic highlands. The underlying limestone, and the drier climate of the region gave rise to native forests where trees were sparser and there was more grass and forage in the natural ecosystem. Clear-cutting was not always necessary to ranching, and the park escaped it’s tenure as pasture with less damage than most. 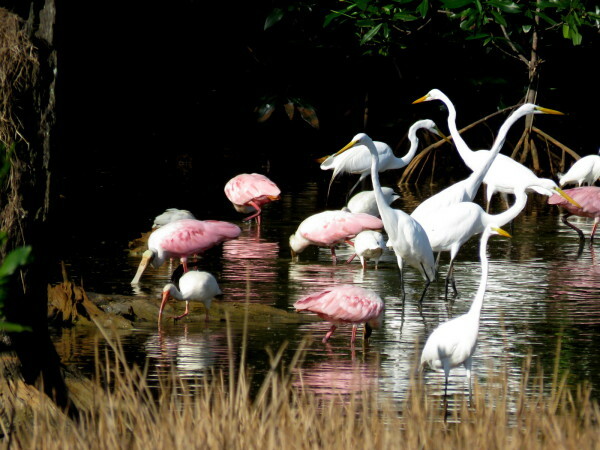 Birds are the biggest attraction at Palo Verde National Park. In the wet season the floodwaters of the Río Tempisque spread to form extensive marshes that welcome migrant birds from the Americas at the onset of winter. As the December through May dry season (called summer in Costa Rica) progresses the marshes shrink to isolated patches and pools, and the migrants depart for their summer nesting grounds in temperate climates. Many of the resident tropical bird species nest on a small mangrove island in the Río Tempisque. Isla de Pajaros (bird island), as it is known provides a safe place for Cattle Egrets, Roseate Spoonbills, Wood Storks, Green-backed Herons, Anhingas, Great Egrets, and Black-crowned Night-Herons to breed. Other birds you can expect to see in the park include White Ibis, Glossy Ibis, Black-necked Stilt, Black-bellied Whistling-Duck, Snail Kite, American Widgeon, Northern Shoveler, and Blue-winged Teal. In the dry season, many of the trees have dropped their leaves, and the wildlife is concentrated around the ever-shrinking water sources. One of the best strategies for spotting the many species of mammals that Palo Verde National Park protects is to sit quietly near a water source. You may spot Variegated Squirrels, Howler Monkeys, White-nosed Coatis, White-tailed Deer, White-throated Capuchin Monkeys, and Collared Peccaries. Palo Verde National Park is one of our favorites. When we first visited, there was a little known and unused back entrance to the park, across the Bebedero river. We rode and carried our bicycles across the whole park to the campground near the ranger station (Read about Biking Palo Verde Park). The entrance and the trails it serves are now closed except for official research, but you can rent mountain bikes from the Organization for Tropical Studies station to explore other parts of the park. Although the back door from Bebedero has been effectively closed, there is another very interesting way to enter the Park. 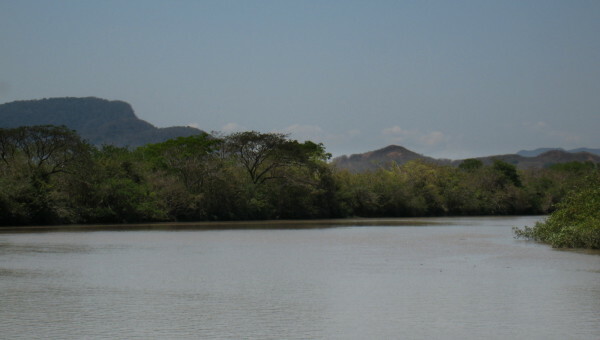 On the Nicoya side of the Río Tempisque, you can hire a boat at the dock in the pueblo of Puerto Humo and power your way upriver to the Park. Arrange with your boatman ahead of time to get a close-up look at the Isla de Pajaros (Bird Island), and perhaps continue upriver past the park where the vegetation closes in and you are sure to see crocodiles. 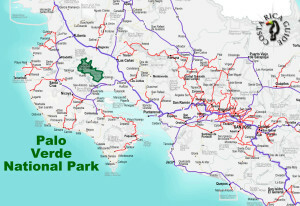 Palo Verde is located in one of the driest regions of Costa Rica but when it does rain here the roads can be impassable. Birdwatching is also better in the dry season because there are many migrants who arrive from up north to escape the snow in December through May. There are a few parks and reserves in Costa Rica where it’s possible to spend the night in relative comfort and thanks to the Organization for Tropical Studies, Palo Verde is one of them. Lodging, meals and guide services are all available by reservation (See details – OTS Palo Verde Lodge). If you’ve got the gear, camping is also an option. The campground near the ranger station provides access to potable water, showers and restrooms.